Our range of products include m.s. flats and ms channel/ismc. 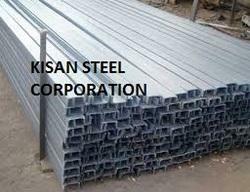 In order to gain optimum client-satisfaction by fulfilling their varying needs, our firm is providing them a broad range of Mild Steel Flat. These angles are collected from the well-established vendors who manufactured these products with ultra-grade mild steel. Offered products are demanded in the market for their excellent performance. Available M.S.Channels different sizes and dimensions of 75 mm to 400 mm, we are able to offer our clients with mild steel channels. These mild steel channels are highly appreciated by our clients for their quality, corrosion resistance and tensile strength. 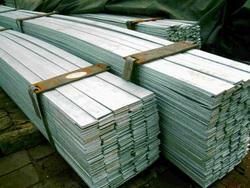 The ms channels are sourced from reliable vendors, who use superior quality steel and find their application in various industries. Looking for MS Channels ?